General Motors (GM) has been under intense scrutiny for years now because of the company’s defective ignition switches. Much of the focus has been on how the ignition switches can fail, causing cars to stall, even when the vehicle is driving at high speeds. However, there was a second potential problem with the ignition switch failure – namely, that it prevented the vehicles’ airbags from deploying in the event of a collision. It’s that “custom-made” system, however, that houses a dangerous defect – a defect GM knew about, did not disclose, and continued to manufacture between 2002 and 2012. GM vehicles are calibrated to deploy an airbag 45 milliseconds – or .045 seconds – after a collision. How the airbag deploys depends upon the severity of the crash. For example, if another car hits you head-on at 15 mph, only the first stage of GM’s dual-stage system will deploy, so the airbag inflates to about 60% of its full capacity. If you are hit by a car going 18 mph, however, then the airbag is supposed to inflate fully. However, not every collision reaches the required impact within the 0.045 second threshold. This means that even if the airbags are working, they might not deploy in time, or at all, in a crash. Furthermore, if the ignition switch fails, then the timer for the airbags also fails because of a defect in the switch itself. GM’s ignition switches can (and do) move to the “off” position, even while the car is running, which has resulted in deaths as well as serious injuries. This is why GM vehicles stall, and why drivers suddenly lose power to their brakes and steering. When the ignition switch moves into the “off” position, it also stops the timer for the airbags. Again, GM cars are calibrated to deploy an airbag less than half a second after the collision occurs. But if the ignition fails, and the airbag timer is shut off, then your airbags will fail to deploy if you are hit by another car head-on, regardless of how fast that other vehicle is moving. Auto products liability cases are complex; you want an attorney who has experience successfully representing client who have sustained injuries as a result of a defective car part. Remember: the auto manufacturers have attorneys on their side whose entire job is to keep victims from having their day in court. GM has been actively fighting against recalls for the last few years. Harris Lowry Manton LLP has recovered tens of millions of dollars for Georgia clients who sustained catastrophic injuries, and lost loved ones, because of defective or poorly designed auto parts. We work with reconstruction experts to build your case, and to prove that a defective product caused the incident which led to your injuries. 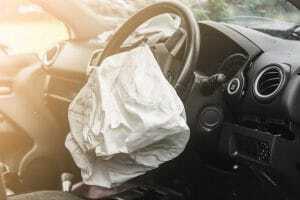 If you were injured in a car crash and the airbags failed to deploy in your GM vehicle, Harris Lowry Manton LLP wants to help. To schedule a free consultation with a member of our team, please call us at 404.998.8847 in Atlanta, or 912.417.3774 in Savannah, or fill out our contact form.